2-storey with breaking-eaves dormers, 6- by 4-bay L-plan, gabled, restrained Scots Renaissance style hospital villa. Roughly coursed and snecked cream sandstone with contrasting red sandstone ashlar margins. Base course, cornice. Shouldered gables. Round-arched dormer heads. Some bipartite windows. Some gabled bays with slit openings to gable apex. 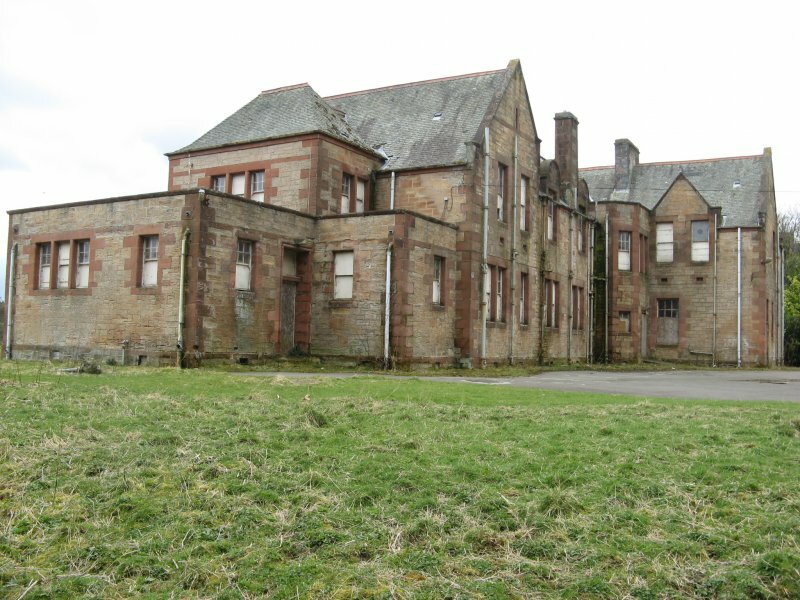 Bangour Village Hospital is the best surviving example in Scotland of a psychiatric hospital created in the village system of patient care, a revolutionary concept in the late 19th century. This is one of a group of 4 four villas which are situated around the former administration building (see separate listing) of the complex. The villa has some plain Renaissance detailing in the round-arched dormerheads, ridge tiling and contrasting colour in the building materials and it is a significant component in the overall integrity of the site. Built in a restrained Scots Renaissance style, it was used initially as accommodation for patients who required close supervision. The buildings of the hospital sit within their original rural setting and remain largely externally unaltered. There were originally 8 of these closed villas proposed, but only 4 were built. 2 styles were used for them and this one is in a similar style to Villa No 8 (see separate listing). There were single rooms in some of these villas, there was 2 padded rooms if required. These are mentioned by the architect as being the only padded rooms in the whole complex. The villa originally had a verandah to the S.
Designed in a restrained Scots Renaissance style, Bangour Village Hospital is an outstanding remaining example of a psychiatric hospital built as a village and espousing a complete philosophy of care. The village system of patient care, exemplified by the Alt-Scherbitz hospital, near Leipzig in Germany in the 1870s encouraged psychiatric patients to be cared for within their own community setting, where there were few physical restrictions and where village self-sufficiency was encouraged. This was in contrast to the large contemporary asylum buildings. This philosophy had been gradually developing in a number of Scottish institutions, but Bangour saw its apotheosis, specifically in relation to psychiatric patients. 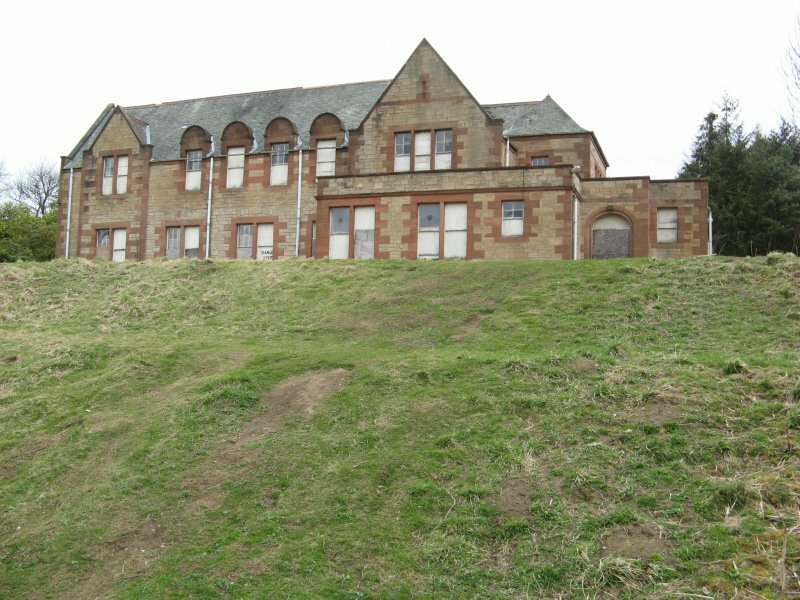 Two other hospitals were built in Scotland for psychiatric patients, Kingseat, to the north of Aberdeen (built in 1904) and Dykebar Hospital in Paisley, 1909 (see separate listing). These have not survived as completely as Bangour. The hospital was built by the well-known Edinburgh architect Hippolyte J. Blanc as a result of a competition begun in 1898 and is the first of the new thinking in psychiatric provision to be conceived in Scotland. The Edinburgh Lunacy Board had concluded that a new psychiatric hospital was required to cater for the increasing numbers of patients from Edinburgh and the hospital was opened in 1906, with some of the buildings still to be completed. It was designed with no external walls or gates. The utility buildings were positioned at the centre of the site, the medical buildings for patients requiring medical supervision and treatment were to the E and there were villas to the W of the site which could accommodate patients who required less supervision and were able to work at some sort of industry. The complex also included a farm to the NW (not part of the current site) and had its own water and electricity systems and also had its own railway. The hospital was commissioned by the War Office in WWI for wounded soldiers and extra temporary structures were erected, most of which were dismantled after the War although some timber ones were retained by the hospital. The railway too was dismantled in 1921. The patients returned in 1922. The hospital was commissioned again for WWII. At this time many temporary shelters were erected to the NW of the site and this became the basis of the Bangour General Hospital (now demolished). Bangour Village Hospital continued as a psychiatric hospital until 2004. Hippolyte Blanc (1844-1917) was an eminent and prolific Edinburgh-based architect who was perhaps best known for his Gothic revival churches. He was also a keen antiquarian and many of his buildings evoke an earlier Scottish style. December 1992: 10 January 1992: The Lothian Courier reports that Broxburn Community Council has asked local planners to place a Buildings Preservation Notice on the administration blocks, in order to preserve them for the future. It is now Health Board policy to concentrate resources on buildings to the centre of the complex, with those on the periphery being gradually wound down. December 1992: External inspection shows some villas to be unused and boarded-up. The remainder of the complex is operational and appears in good order. August 1995: SCT receives information that West Lothian Health Care Trust has appointed Edinvar Consultants to assess future options for the site. October 1995: The draft report suggests the formation of a village community, with shops, housing, offices and leisure facilities. January 1997: An outline planning application is lodged for the conversion and redevelopment of the hospital buildings. SCT commends the considered nature of these outline proposals. March 1998: SCT receives information that Outline Planning Permission is being held in abeyance due to the rehousing of patients, although the whole site is gradually being wound down. There is cause for growing concern over the state of several more of the listed buildings, now unoccupied. 22 July 1999: The West Lothian Courier reports on plans to develop the site into a housing, hotel, golf course and conference centre complex, when the hospital closes at the end of 2000. It is reported that the plans have been discussed by West Lothian Councils Strategic Services Committee, although no decision has been taken, pending further discussions with Dechmont Community Council. 200 patients remain in the hospital. 5 August 1999: The West Lothian Herald and Post reports that the Strategic Services Committee has again discussed the proposals. A new-build of 200 homes, coupled with the conversion of the existing buildings and the maintenance of the church, is said to have gained favour, although local residents are to be invited to express their views. February 2000: Local planners report that West Lothian Healthcare Trust is testing the market for the site. West Lothian Council has prepared a brief for its redevelopment. November 2000: SCT receives information that WLHCT is considering purchase bids. December 2002: Local planners report that a preferred bidder has been identified and an outline planning application is probably imminent. There is concern at the adaptability of the Recreation Hall and Church in particular, and their ability to be integrated into any development proposals. The former is reported to still be used for meetings. December 2004: Outline Planning Permission is now being sought. December 2004: The Architectural Heritage Fund reports that the Scottish Redundant Churches Trust has conducted a feasibility study into new uses for the church. The study identified viable uses but failed to determine sufficient sources of funding. SRCT is now in discussions with the developer of the site over the future of the church. 5 March 2005: The Edinburgh Evening News reports on the filming of the latest George Clooney film at the hospital. 1 May 2005: Scotland on Sunday reports on the filming of the latest George Clooney film at the hospital. September 2006: local planning authority report that the application still remains undetermined. April 2008: External inspection finds the building to remain derelict. Externally, it appears to be in fair condition. The windows are fully or partly boarded over. The window frames are in poor condition. August 2010: External inspection finds the building remains derelict. There is no evidence of maintenance. Outwardly, the building appears to remain in good condition. However internal deterioration, as seen through windows, is indicated by sections of plaster hanging from ceilings. Outline planning permission for development of the former hospital site, ref: 1120/P/04, has been withdrawn. Local planners advise the site owners planning consultants are working on a revised masterplan for the former hospital. Regular meetings between the site owners and the local authority continue. January 2012: A member of the public advises the building continues to deteriorate. 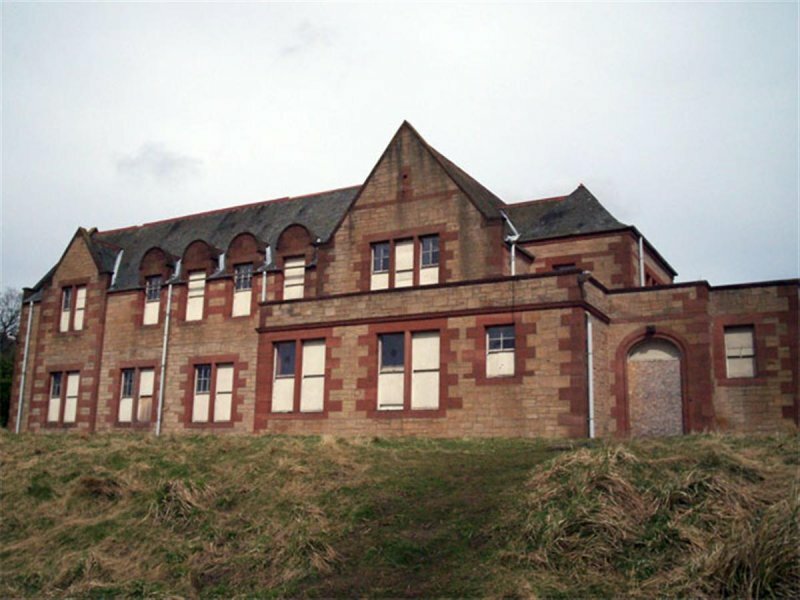 3 October 2012: Local planners report Historic Scotland has re-surveyed the former hospital site. Some buildings have changed listing category and some buildings are newly listed. Villa 10 is now listed at category C, formerly A-listed. 15 January 2015: STV News website reports NHS Lothian has engaged GVA James Barr to draw up proposals for the conversion of the former hospital to form housing, to aid marketing of the site for sale, with a view to submitting Full Planning Permission later this year. 13 April 2015: External inspection finds the building remains in much the same condition as seen previously. The property is very damp at ground level. 1 October 2015: Planning Permission in Principle for a residential and mixed use redevelopment of the former hospital site is being sought ref:LIVE/0607/P/15. The application notes some of the listed buildings at the site may be proposed for full demolition in a subsequent application. This may include villas 7,8,9 and 21, with other buildings potentially proposed for partial demolition. Hendrie and Macleod (1991); Jaques and McKean (1994), pp66-67; McWilliam (1978), pp90-92; Richardson; Academy Architecture, (1) 1899, pp88, 94; The Builder, 13 August 1898, p153; Edinburgh Medical Journal, March 1916; Journal of the Royal Institute of British Architects, (15), March 1908, p309 and 10 November 1906, p545.